I was honored to be asked by Vicki Davis – a.k.a. CoolCatTeacher – to join her in one of her 10-Minute Teacher Podcasts. 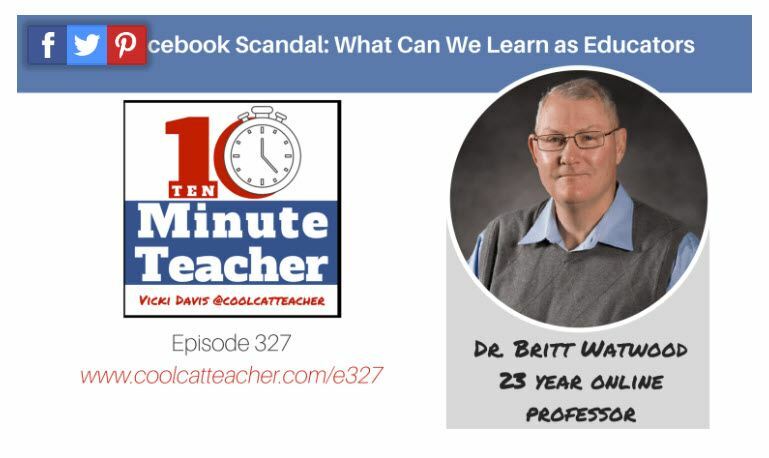 We talked about the recent Facebook scandal and lessons we should take from it as educators. Social media is a daily presence in the lives of our students, our colleagues, and our community. As Vicki Davis has demonstrated for a decade, many teachers are using social media to enhance the learning experience of our students. But how should we as educators react to the unfolding crisis that surfaced when we learned that Cambridge Analytica had illegally mined millions of Facebook accounts? The podcast with transcript can be found here. In the podcast, I suggested P.R.O.V.E. 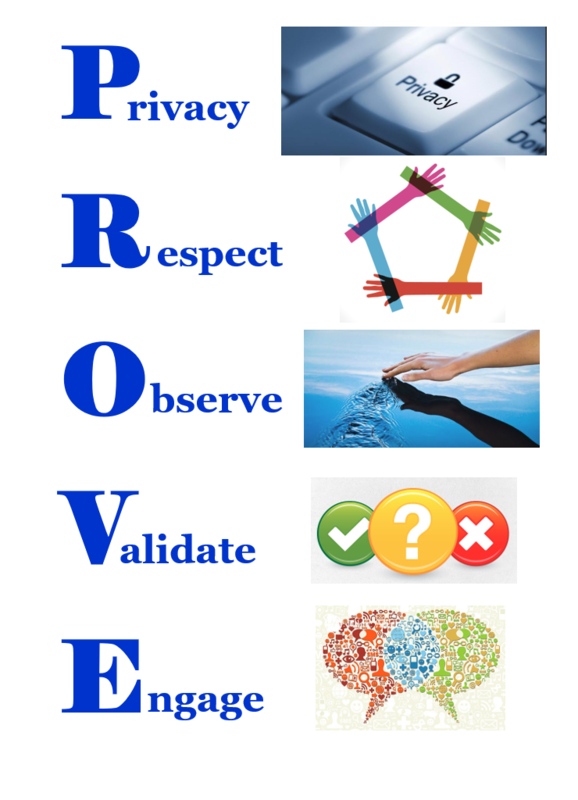 as an acronym to keep in mind regarding the use of social media in education….as in “prove” to yourself that the use will add value. 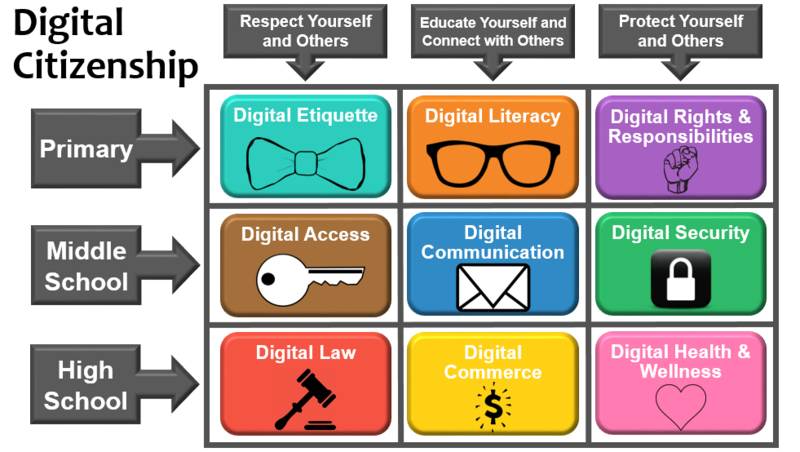 I also like Debbie Lee’s Digital Citizenship learning progression, and as I mentioned in the podcast, students need to be exposed to digital citizenship early and often. Vicki and I have been Twitter and blog buddies for nearly a decade, but this was the first time I had had the opportunity to actually talk with her…and it was delightful! As Vicki noted, this is an important topic, so I hope other educators join in the conversation, either in her blog or mine.